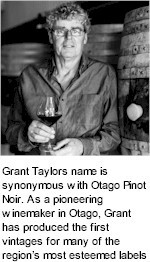 Grant’s name is synonymous with Otago Pinot Noir. He has been crafting wines in the region since 1993 when there were only 20 hectares planted. Established in 1998 and named after his Great-Great Grandfather, Giuseppe Valli, who immigrated to New Zealand from an Italian winemaking background, Grant founded Valli with the aim of creating true representations of Otago’s subregions with unflinching intensity and purity. This was also a first for the region – no one had attempted to capture, let alone master the developing subregional plot that has now begun to unfold as the next exciting chapter in the Otago wine story. As a pioneering winemaker in Otago, Grant has produced the first vintages for many of the region’s finest labels including Bald Hills, Carrick, Felton Road, Hawkshead, Mondillo, Mount Edward, Mt Difficulty, Peregrine, Rockburn, Thyme Hill and Van Asch. 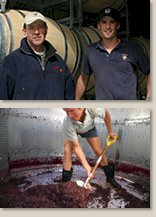 Victorian Alps Winery are committed to producing great wines. The aim is all about fabulous wines at affordable prices. The ranges include modern varietals, perfectly balanced blends and aome old favourites, something for everyone. Tobacco Road, Coldstone, Dividing Range, and Snowy Creek are the brands within the group. The operation boasts one of the country's finest cellar doors and produces some of the most innovative and awarded wines. The commitment to quality is un-compromising. 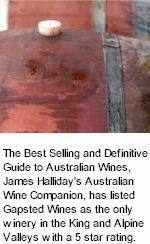 Victorian Alps employs a team of excellent winemakers who are willing to throw their thoughts into the ring. They have virtually unlimited access to ultra premium cool climate fruit, grown by the partners in the business. 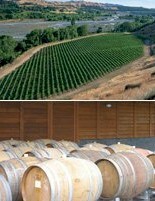 And they have a large modern winery producing a small premium product. Virgin Hills was the creation of eccentric Hungarian Australian sculptor restaurateur Tom Lazar. 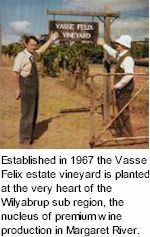 Arriving from Paris in the mid 1960s, he found a new country with a food and wine industry, very different to the one we know today. Lazar was determined to change all that. He established the renowned Little Reata restaurant in Melbourne. Then in 1968, came his grand vision of Virgin Hills. Inspired, he bought 300 acres of rugged bushland high in the Macedon Ranges. Lazar saw an opportunity to expose Australian palates to something very different; black cherries. After laborious clearing, the soil revealed itself to be quite poor for the purpose. Swiftly, Lazar had another grand vision.